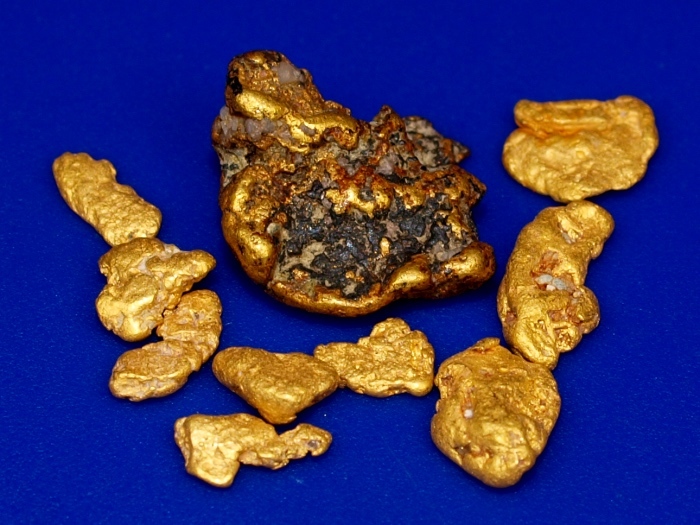 Here's a nice collection of gold nuggets found in Siskiyou County, California. 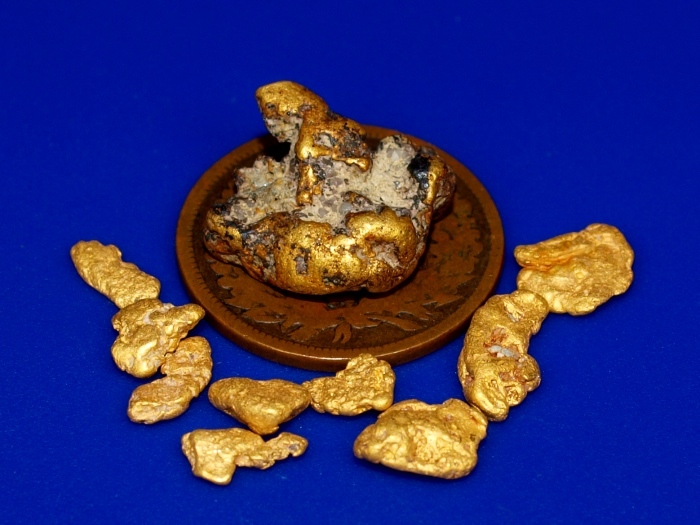 The bigger nugget is especially "gnarly" with rough texture and lots of inclusions. These have a total combined weight of 5.78 grams.